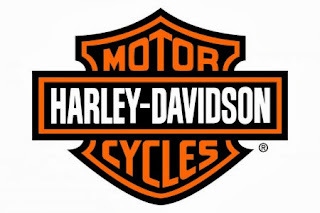 MILWAUKEE (December, 2013) Find your stuff faster with the new Premium Tour-Pak® Lid Fitted Lining with Organizer (P/N 53000392, $159.95) from Harley-Davidson® Genuine Motor Parts and Accessories. Designed specifically to fit the Tour-Pak® luggage on 2014 Harley-Davidson® Touring motorcycles, the lid liner features a soft-touch black-felt finish to reduce noise, and convenient storage pouches to keep smaller items secure and at hand. Four flap pouches, and one mesh and one clear pocket keep keys, cell phones, glasses, and documents handy. Hook-and-loop fasteners secure the one-piece formed lining to the lid, so it’s easy to remove for cleaning and maintenance. 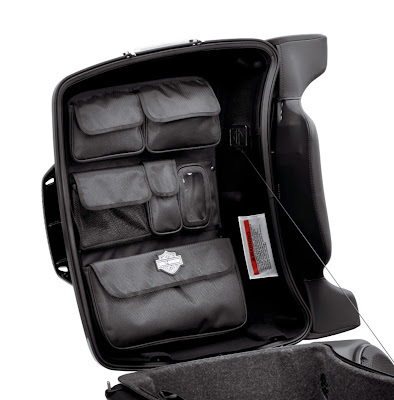 This liner fits the 2014 Electra Glide® Ultra Classic®, Ultra Limited, and Tri-Glide® Ultra, and models equipped with King or Chopped Tour-Pak® luggage.